It is important to spend a time meant entirely for you. Next to vacations and lounging around mastering the art of doing nothing, what probably spells a better “me-time” than taking long luxurious laps of relaxation and beauty makeovers. 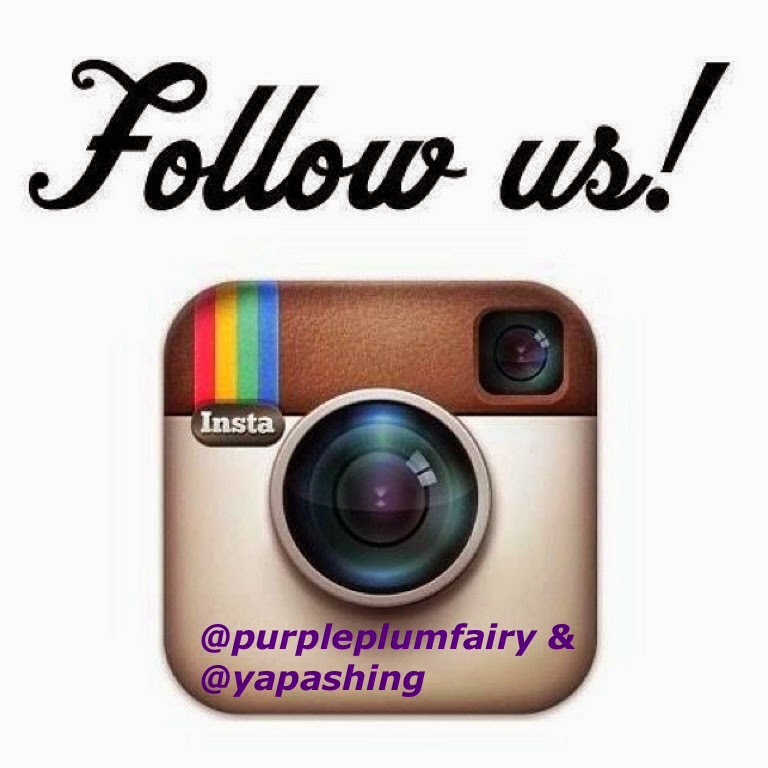 Mommies, take time off slaving over work and reward yourself with a royal treatment. Bioessence prides itself in offering indulgent services that are sure to please the princess or the queen in you. When it comes to indulging yourself, Bioessence is a haven of pleasure with its wide selection of spa treatments and wellness services. So seize your me-time and get yourself some well deserved pampering and primping at Bioessence and spend an afternoon or an entire day of infinite bliss and self-indulgence spent wisely. Go ahead and spoil yourself from head to toes with a treatment of your choice. 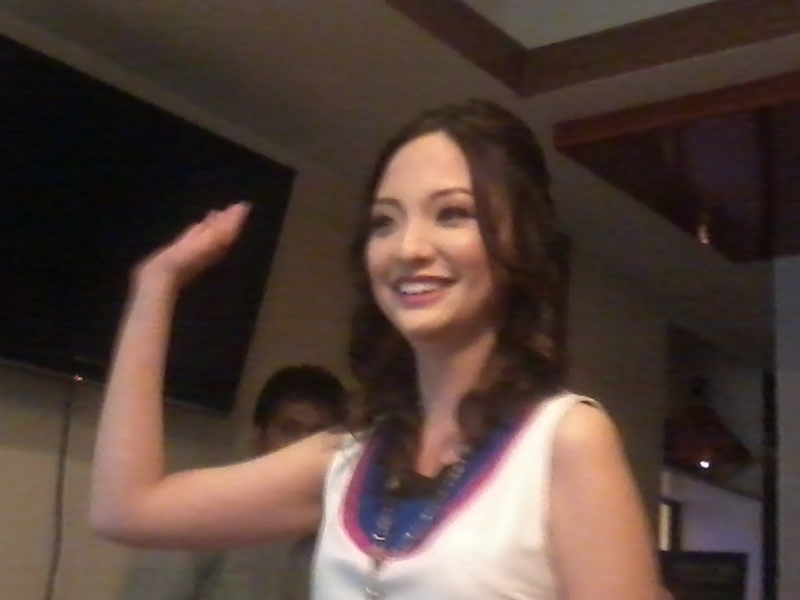 Bioessencerecently launched their Urban Escape treatments at their West Avenue branch and introduced their latest brand ambassador model/blogger Iya Consengco. During the said launch, Ms. Consengco gave a short talk on how to prevent stress while Bioessence’s Training Manager, Ms. Charisse Sampang, further explained how they come about with the Urban Escape treatments as well as its benefits. Face it: the harsh weather, layers of makeup, stress and sleepless nights are getting under your skin (and are showing on your eye bags too!) Don’t fret though, there’s still hope. Bioessence’s new Urban Escape Treatments are here to help. After one session, see and feel your face clean and radiant. Bid adieu to every skin flaw imaginable with these treatments and feel refreshed without necessarily escaping the city. For the Urban Escape Treatments, clients have two options: A Luxurious facial—It is a facial inspired by the pure essence of life to relax, purify, invigorate and restore the natural balance of your skin. This facial combines pampering and therapeutic techniques with specialized, proven products to restore the skin’s normal moisture level while revealing a more vibrant complexion. 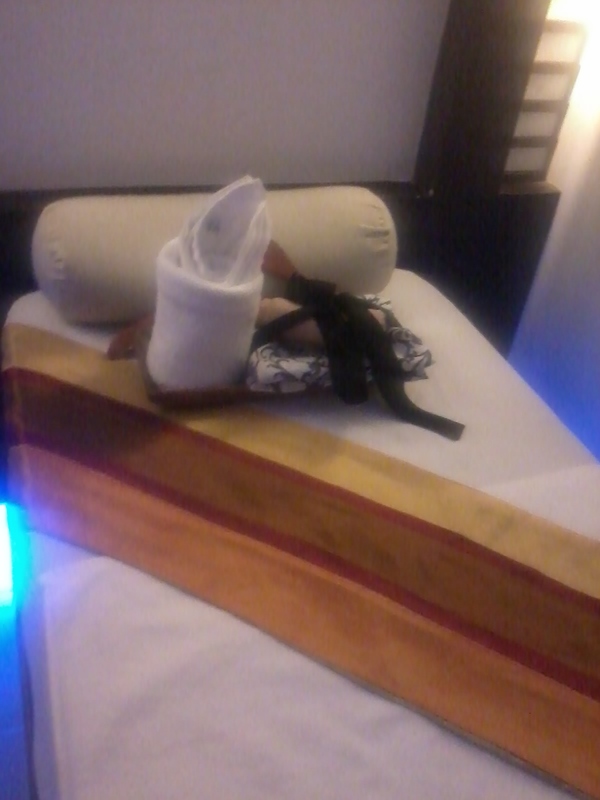 Then of course, there’s the Pampering massage. The leaflet says “Relax in a cocoon of warm, rich oils that lavish your skin with naturally health-enhancing nutrients, in a luxurious 60 minute body massage. A truly line indulgence as only natural extracts are being used blended with pure essence to ignite your body’s self cleansing and healing mechanisms. This helps flush out impurities and improve blood circulation. 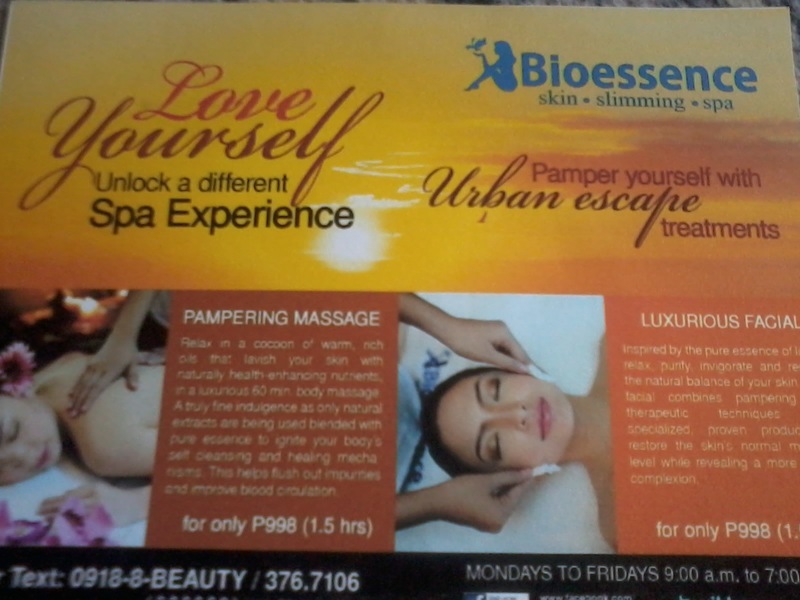 I had tried Bioessence’s Urban Escape Facial treatment and I’d have to say that it’s the best facial I’ve ever had! I bet you guys are curious what makes it different from the other facials. It uses a unique blend of pampering and rejuvenating. The treatment starts with facial cleansing milk, followed by some facial scrub, I also had a diamond peel treatment included and pricking followed by a relaxing and invigorating peppermint mask. In between, I received a soothing massage on face, neck and décolleté (chest massage) to break some nodules and manage the lactic acids (lamig) on the arms. Using precise hand movements on my skin, the response creates an increase in my body’s own transport mechanism which causes lymphatic fluid drainage. The therapist used her hands to knead, rub and gently squeeze the muscles on my upper back, arms, shoulders, neck, scalp and face. Oh, and my lips were also dabbed with a special lip balm to make sure that even my lips were properly moisturized and my hands were wrapped to further seal the moisturizing oil or lotion as well. Everything induces a feeling of well-being and calm and are believed to help re-balance the body, sharpen the mind and improve concentration. 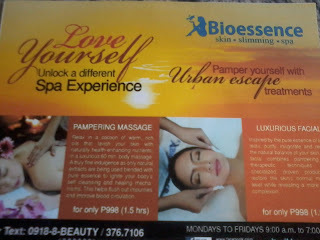 Next time I visit Bioessence, I’d like to try the Urban Escape Treatment pampering massage. My friends say I’ve got to try it. It uses basalt stones and helps relax tight muscles. They say the experience is far different from my usual classic European (Swedish) massage. Well, I look forward to having such treatments soon. In the meantime, allow me to relish my baby-soft skin from the Bioessence Urban Escape Luxurious Facial I’ve just had. 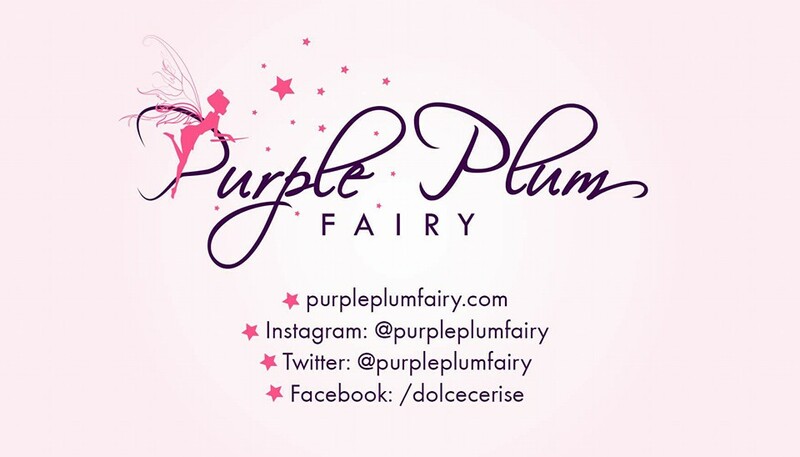 Follow Bioessence on Twitter @BioessencePH and like them on Facebook at www.facebook.com/BioessenceCorporatePage. Bioessence West Avenue Branch is located at #68 Carbal Bldg. West Avenue, Q.C. Bioessence has branches at SM Megamall, Greenhills Shoppesville, Connecticut Greenhills, LPL Condominium Makati, Binondo, SM Fairview, Sta. Lucia Cainta, SM Bacoor, SM Southmall, SM Pampanga, SM Baguio, among many others. 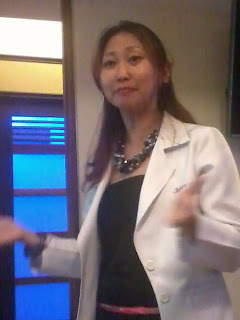 Special thanks to Ms. Anj, Ms. Cha Sampang and all the staff at Bioessence West Avenue branch.